The American designer George Nelson counts to the most influential people of American Post-War design – together with personalities like Charles and Ray Eames or Alexander Girard. That’s a good reason to re-edit some of the designs of that influential creatives in the event of the Vitra Home Complements Collection. Thereby all of the items are produced according to the original designs and materials. The Collection includes design objects, home accessories and textiles. Timeless companion for a special atmosphere. The designer George Nelson influenced the philosophy of the American furniture producer Hermann Miller for several years being the creative director there. He also designed table and wall clocks for the subsidiary Howard Miller Clock Company at the same time, catching the lifestyle of the 50s and 60s. The Wheel Clock is a faithful re-edition of the 1961 designed wall clock and it convinces with high class materials and sculptural outlines. 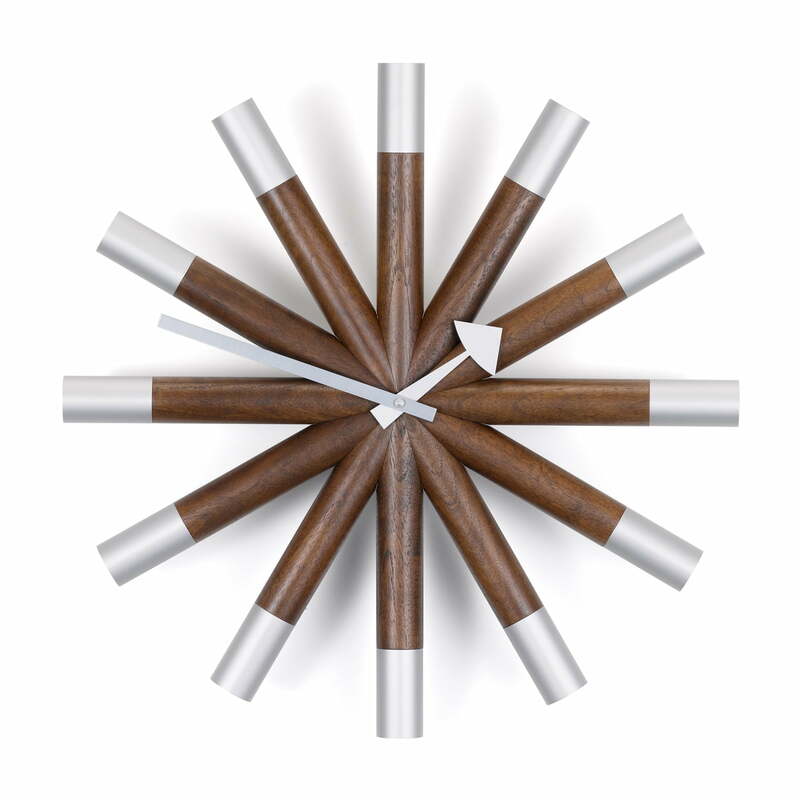 The corpus of the exceptional wall clock is made of walnut wood. The pointers and hour-marks are made of aluminium. Warm and cool materials complement each other in harmony resulting in special colour-contrasts as well. Wheel isn’t only a timer, but a decorative piece on the walls and a real eye-catcher. This is how you will keep an eye on the time with pleasure. All the Vitra clocks made by George Nelson are delivered with a high class quartz clockwork including batteries.